Some quick thoughts as it is Christmas Eveeee and I still have not posted this: I thought this was going to be a somewhat dry, mostly bleak post-apocalyptic novel. I was pretty much wrong on all accounts. 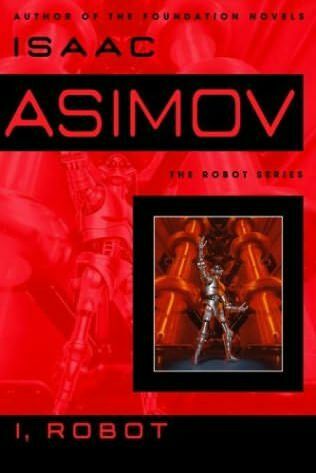 :P I enjoyed how Asimov threaded all the stories together and I liked that each story was about the loopholes and paradoxes and such that arise from conflicts of the three laws; the stories were fairly intelligent. I found the writing to be very modern as well, to the point, humorous and easy to digest. I am not generally a fan of short stories unless they are done exceptionally well and as this felt almost more like a novel than a collection, I enjoyed this book very much.